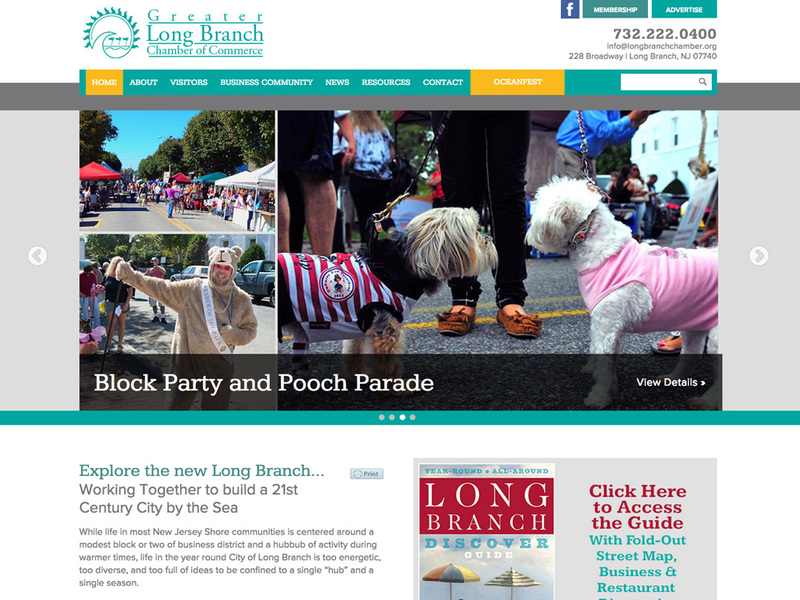 With a fresh new design and lots of functionality, this new site for the Long Branch Chamber of Commerce won rave reviews from their staff. Splendor built the new site in WordPress, and helped organize their existing content. The site hosts their event calendar, various photo galleries, announcements, and forms for members to sign up and pay their dues online. We built an interactive map of Long Branch with lists of businesses found in each district, as well as a searchable business directory. The site also features advertising space that the Chamber can fill with their sponsors, offering full control over ad locations and the ability to view ad popularity.